Bookmark this page because it's the definitive list and you're going to want another look before you see the movie again! Think you know Superman? Since Man of Steel came out this weekend, message boards on the Internet have been lighting up with claims that the story and references clearly follow one particular version of Superman, the candidates being the 1986 John Byrne reboot of the comics, the modern comics, Superman: Birthright, the TV series Smallville and so on. The truth is, it references all of them. MORE: Read Part 2, featuring other notable Easter eggs, as well as more on themes and plot points. Many fans assume that Faora-Ul was replaced by Ursa from the first two Superman movies starting in 1978, however Faora first appeared in the comics in 1977, which was a year after the movie had begun filming and still a year before its release. She was a man-hating martial artist Kryptonian who, like many, had survived the destruction of Krypton by being in the Phantom Zone. 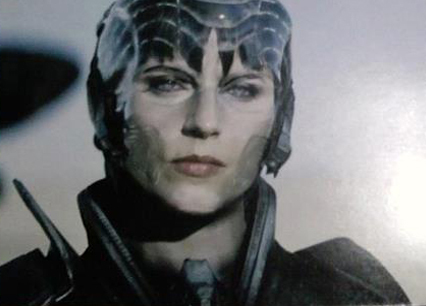 Kryptonian women tend to take their fathers’ full names (like Lara Lor-Van is the daughter of Lor-Van), but that appears not to be the case for Faora-Ul in Man of Steel, as opposed to the comic book version, Faora Hu-Ul. Actress Antje Traue chose not to research the character’s past in order to give a fresh take, which is just as well since they share a name and little else. Dev-Em was a juvenile delinquent on Krypton who saved himself before the explosion gave Superboy a hard time in the 1960s before time traveling to the 30th century and trying to join the Legion of Superheroes. He was revitalized a few years ago in the comics as an uncontrolled murderer. Nam-Ek from the comics was banished to the Phantom Zone for killing a sacred Rondor beast (which can be seen in the movie just after Kal-El’s birth). 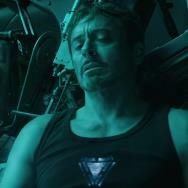 He was experimenting with its healing powers in order to make himself immortal. Kelex was Jor-El’s robot on Krypton in the film, but a servant robot of the same name helped Jor-El during Superman’s rebooted origin in Man of Steel #1 in 1986. When the Fortress of Solitude was formed a few years later, another robot had the same name, and Kelor was added as well, which was the name of Lara’s robot in the film. Jax-Ur has given Superman a hard time almost as often as Zod. In the comics, he was sent to the Phantom Zone for accidentally blowing up one of Krypton’s moons, which was also referenced in the film. Look at the sky and one of the two moons has been partially blown apart. In Man of Steel, he was played by Mackenzie Gray and he was the one who took Superman’s blood on Zod’s ship. Zod has had many incarnations over the years, which I wrote about a while back already. For more on Zod, click here. Steve Lombard became a Daily Planet sports writer after the 1970s editorial shift at DC Comics. He’s something of a jerk in the comics, which may be easier to see in the inevitable sequel. He was mostly absent from Superman stories for years after the 1986 comic book reboot, but returned just a few years ago. 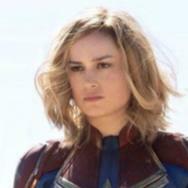 Major Carrie Ferris who said “I just think he’s kinda hot,” is Carol Ferris, the love interest of Hal Jordan as Green Lantern (played by Blake Lively in the recent Green Lantern movie) and she became the villain Star Sapphire in those comics. Father Leone was the character’s name that Clark spoke to in the church while deciding whether to turn himself in to authorities. A character with the same name was used while Superman was having some emotional troubles in the famous “For Tomorrow” story by Brian Azzarello and Jim Lee in Superman (vol. 2) #204-215 around 2003. Ken Braverman was one of the bullies giving Clark a hard time in a flashback in front of Sullivan’s Tractors. 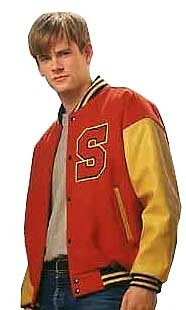 Kenny Braverman was from the comics in 1994-1995 who was a childhood friend of Clark, but always came in second in athletic and school events, which angered his abusive father. He became the villain Conduit and had a hard time killing Clark Kent, only to discover his dual identity and attacking his family, friends and fiancée Lois Lane. General Swanwick, played by Harry Lennix, was most likely named for Curt Swan, who is considered the “Norman Rockwell” of Superman artists having drawn the character from the 1940s to the 1990s, but most regularly from the '50s to the '80s. Weisinger Primary School’s logo can be seen in the photo of young Clark at a science fair with Jonathan Kent. It is named for Mort Weisinger who was the editor of the Superman comics from the mid 1950s and 60s, which is also known as “the Silver Age” of comics. While traveling and changing jobs, Clark chooses to go by the name “Joe,” which may be a reference to Joe Shuster, Superman’s cocreator. 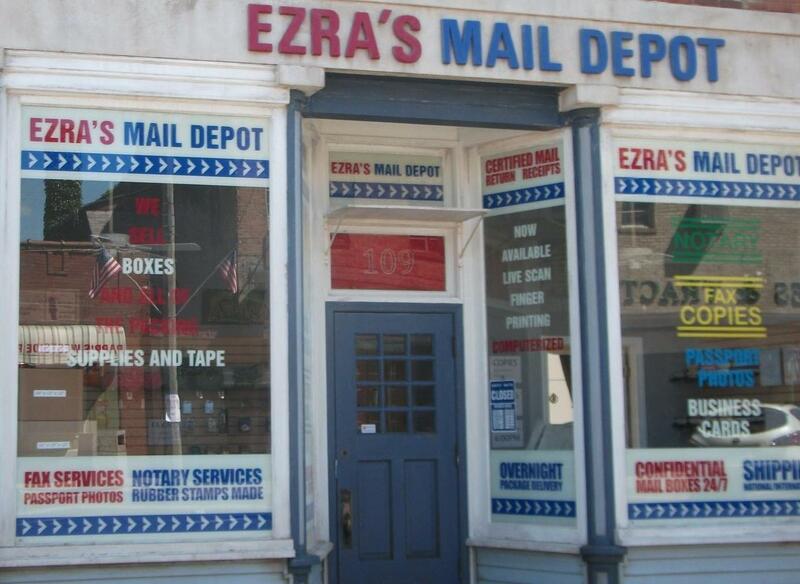 “Ezra’s Mail Depot” is Smallville’s post office and can be seen just before the big street fight in downtown Smallville. Ezra Small was the founder of Smallville in the TV series of the same name, which became part of a promotional website to give viewers hints about upcoming stories on the show. "Otto’s Barber Shop" in Smallville may be a reference to Otto Binder who worked for DC starting in the 1940s and eventually created characters like Supergirl, Brainiac and my favorite: Krypto the Super Dog. Whitney Fordham was one of young Clark’s classmates in Man of Steel and his name is strikingly similar to Whitney Fordman (with an M) who was Lana Lang’s boyfriend in the first season of TV’s Smallville, before going off to war and being killed in action. It is unclear why the name was changed, but it remains an obvious reference. There are over a dozen actors in Man of Steel who also played roles of varying sizes on the TV series Smallville. In each case, the casting appears to be coincidental and more likely due to the location shoots in Vancouver, but they are still worth noting. Amy Adams was Jodi Melville, a meteor freak in the seventh episode of Smallville’s first season. She wore a fat suit and was self-conscious until she drank the juice of vegetables grown in Kryptonite-infused soil. She quickly lost weight and became incredibly hungry, sucking the fat out of a deer she hit with her car, another student and then she had a hard time resisting the urge to do the same to Pete Ross. She chose her own destruction in order to stop having to hurt others. Alessandro Juliani played Officer Sekowski in Man of Steel. 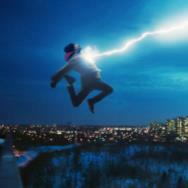 His character was in charge of monitoring the site with the Kryptonian ship trapped in ice and came back later as well. 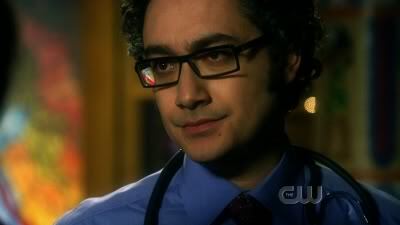 He played Emil Hamilton, a recurring character from seasons eight, nine and 10 of Smallville and even shared scenes with Richard Schiff’s version in the film. Hamilton was originally created for a story by Marv Wolfman and Jerry Ordway in late 1986 and soon became the scientific explainer in the comics and the animated series, as well as appearing in one episode of Lois & Clark and a similarly named character was played by Joe Morton in the first two seasons of Smallville. Tahmoh Penikett was Jed Eubanks in Man of Steel. His character greeted Lois after Clark helped her out of the helicopter in Canada. He played two separate roles on Smallville in episodes from seasons three and six. Mackenzie Gray played the villain Jax-Ur in Man of Steel. 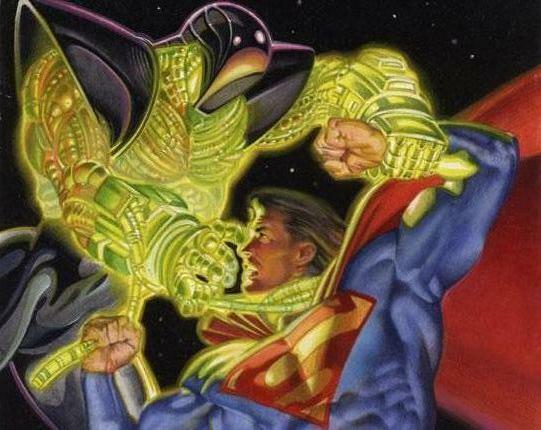 He took Superman’s blood and informed Zod that the Codex was hidden in Superman’s body. Gray also played an advanced age clone of Lex Luthor early in season 10 of Smallville. David Paetkau played a Norcom threat analyst in Man of Steel. His character was the first to use the name “Superman” in the movie, claiming, “That’s what they’re calling him.” He also played two characters in Smallville. He was one of Clark’s classmates and fellow football players in the third episode of the first season. He returned in the eighth season as Officer Danny Turpin, who has been a mainstay of the DC Universe since the 1940s. Ian Tracey played the truck driver who poured a beer on Clark's head in Man of Steel, but he also had a guest appearance near the end of Smallville's fifth season when he was basically "jigsaw" from the Saw films. David Lewis Elizabeth Thai, Kwesi Ameyaw, Mike Dopud, Chad Krowchuk, Carmen Lavigne, Howard Siegel, Clint Carelton, Mark Gibbon, Jackson Berlin, Robert Moloney, Aaron Pearl, Revard Dufrense and Malcolm Scott. Be sure to stop back tomorrow for more Easter eggs and plotting/theme references.